Bocce Pizza, two locations. One of the originators and masters of “Buffalo style” pizza is Bocce Pizza on Hopkins or Bailey. Their fluffy crust, often with large air bubbles, is fantastic and the properly seasoned tomato sauce and generous amount of mozzarella cheese always hits the spot. It’s messy, but in a good way, and their pepperoni has a nice spicy kick. Side note: Imperial Pizza in South Buffalo serves a very similar slice and like both Bocce locations, only offers take out. Imperial Pizza (1035 Abbott Rd, Buffalo, NY 14220) In my humble opinion, there is no pizzeria that does “Buffalo Style” better then South Buffalo’s Imperial Pizza, and a lot of people agree with me. Their long cut slices use a generous amount of mozzarella, sweet sauce and spicy pepperoni. Imperial has built a cult-like following over the years and that’s despite (until recently) having basically little to no Internet presence. That popularity has led to a massive expansion for the little pizzeria, complete with a full dining room and bar that opened in 2019. Bob and John’s La Hacienda (1545 Hertel Ave, Buffalo, NY 14216) Another renowned purveyor of Buffalo pizza, North Buffalo favorite Bob and John’s has been serving pies for nearly 45 years. Pro tip: try their all you can eat lunch buffet on weekdays. Also, if you’d rather eat in a more pub-style atmosphere, you can also order their pizza and wings at The Wellington Pub next door. Lovejoy Pizza (1244 E. Lovejoy St., Buffalo) Plenty of pizzerias in Western New York can serve a really good slice of pizza but only a few can do it on a day-to-day basis. 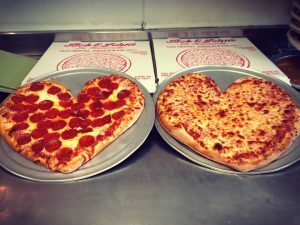 What makes Lovejoy Pizza such a great place isn’t the crust, cheese or pepperoni (although they are all excellent), but it’s their consistency. I go back to their pizzeria over and over again because their pie is always perfect (in both small and large sizes). We recommend their original location on E. Lovejoy but we’ve heard positive things about their Allentown/Main St location as well. 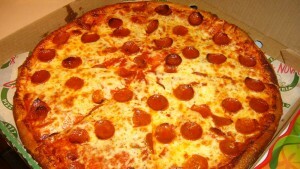 La Nova (371 W Ferry St, Buffalo, NY 14213) You can’t talk about pizza in Buffalo and not talk about La Nova. 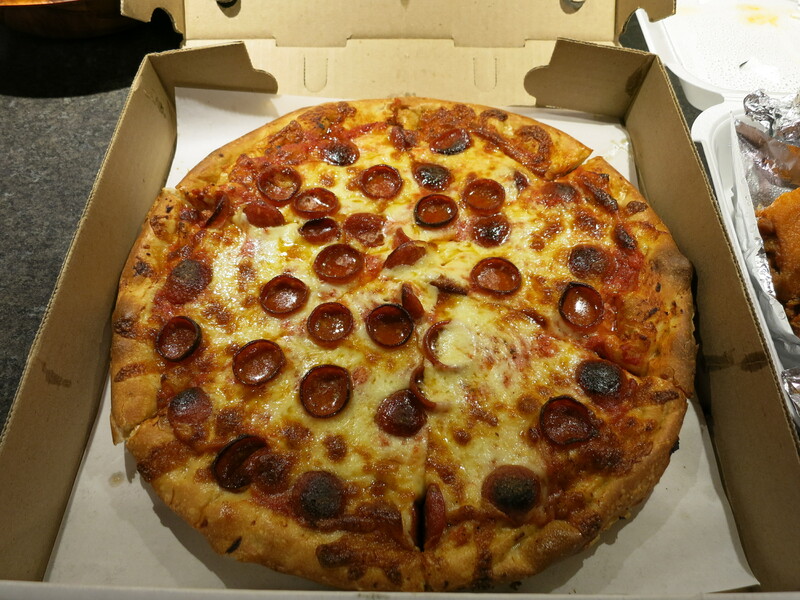 La Nova is basically a household name when it comes to Buffalo style pizza and for good reason, they’ve been around forever and the pizza is consistently good. 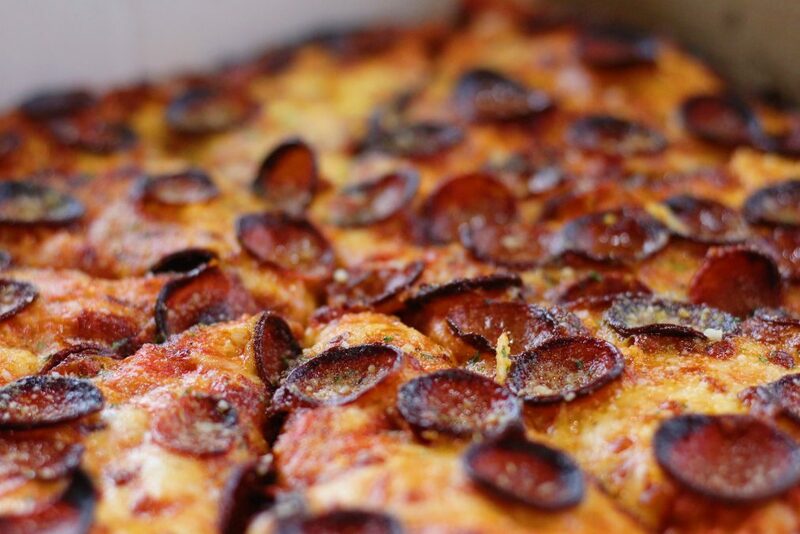 While you’ll find the classics, they also offer one of the largest selections of Buffalo-style pizza by the slice that you can find locally at their West Ferry location. Sure you can grab an excellent cheese and pepperoni slice, but I love the occasional steak and cheese with sesame seed crust.